Baltimore, MD | April 20, 2019 For his work and role as a leader in the legal community, Offit Kurman President and Managing Principal Timothy C. Lynch has earned multiple honors—including recognition by the American Registry. Mr. Lynch is listed in the Registry’s 2018 edition of “America’s Most Honored Professionals.” The list comprises individuals whose recognitions in their fields rank them in the top 10% percent among their colleagues and peers. In his roles as President and Managing Principal, as well as member of Offit Kurman’s Executive Committee, Mr. Lynch is responsible for all lawyer operations at the firm and is heavily involved in the daily operations and strategic planning for the firm. Before moving into these roles, he chaired Offit Kurman’s Commercial Litigation Practice Group. As an attorney, Mr. Lynch has a national practice that focuses acting as general counsel and special litigation counsel for many entrepreneurs as well as owner-managed businesses and their owners in a wide array of industries. In that regard, he regularly advises clients on strategic, growth and corporate issues. He also regularly advises financial institutions and key employees on employment and regulatory issues. Outside of Offit Kurman, Mr. Lynch is a leader in numerous organizations on local, state, and national levels. 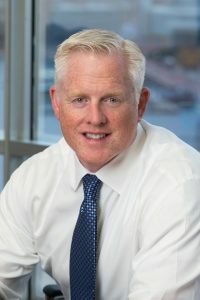 Locally, he serves as Board Counsel and General Counsel to the Washington Area New Auto Dealers Association (WANADA), is the founder of the Best Practices Roundtable for CEOs in Central Maryland, and sits on the Corporate Committee for the Lombardi Cancer Research Center of Georgetown University. Nationally, Mr. Lynch is a member and panelist for the National Football League Players Association (NFLPA) Financial Advisors program. Internationally, he is the Principal Delegate for the Association of International Law Firm Affiliates (AILFN). He also serves as the Global Chairperson of “Best Practices for Professional Services Organization Practice Group” for Geneva Group International (GGI), an educational and referral group of international, independent audit, accounting, law and consulting firms. To learn more about Tim Lynch, please visit his attorney page. More information about Offit Kurman’s comprehensive legal services can be found at offitkurman.com.